Good, lower cost car hire at Paphos Airport. Compare Paphos SUV, MPV & Minivan Rental Rates in Paphos. Choose car rental at Paphos Airport through us and save on all sorts of car hire. Our partners in Cyprus have convertibles, Smart cars, estates, minivans and SUV to hire at great prices. We have top national and local rental companies that include Budget, Sixt and Kyprexxo. You have a choice of nine different car suppliers to choose from at Paphos Airport, including:- Sixt, Budget, Europcar, Drive Cyprus, Avis and Enterprise. is usually on offer with Budget, so look for the Special Offer notice when choosing you vehicle. On or Off at Paphos Airport? - The cheaper suppliers, like Right Cars, keep their fleet a short distance away, so they provide a free shuttle bus. When choosing your car and supplier, it will be clearly stated where cars are kept. All cars comes with full insurance protection. This includes waivers for vehicle theft, third party liability and collision damage. There is no limit on the miles you can drive.. Our mantra is no hidden extras, so we also included local tax, road fund tax and premium location fee and free 24 hour roadside service, in the price we quote. Compare and book automobiles in Paphos today and save. 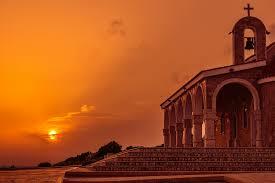 Check our vehicles suppliers discounted rates for Paphos Airport. Get SUV, MPV & estatecars at lower than published prices. Cyprus has two international airports. 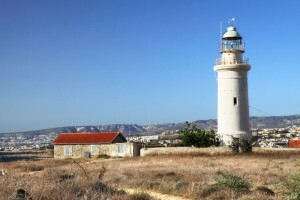 Paphos serves as a gateway for southern Cyprus, including Limassol and Coral Bay. Financial faculties at the airport include a Bank and bureau de change plus ATMs. Paphos Airport Phone number: +357 2624 0506. Distance to downtown Paphos is approximately nine miles to the east. Paphos has a good reputation for cheap good quality designer specs, get your eyes tested locally or bring your script and your new specs should be ready inside a few days. Always wear sun cream, even in the winter months the sun is strong an can easily burn and damage your skin. Your trip to Paphos may coincide with one the local fiestas that are held on a regular basis, which are an excuse to have fun outdoors. These are usually accompanied with lots of activities for the kids, plus a dazzling firework show. Apart from soaking up the sun, do take time to soak up the history and culture. A trip that will reward the soul, is a drive by hire car into the Troodos Mountains. On route you will pass through many picturesque villages. 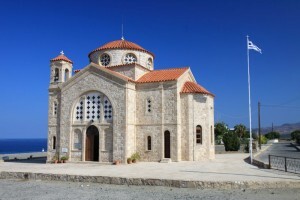 Do take time to stop at listed Byzantine church, and the Monastery of the Virgin of Kykkos. This harbour town of Paphos is an ideal winter break location, with a lovely mild climate throughout the year. In addition to the climate it offers all that is expected of the modern day tourist bars, restaurants, luxury hotels and lots of activities for the young and old alike. Visit the ancient burial grounds which lie underground known locally as the Tombs of Kings. Nearby to the Tombs, a collection of broken crockery and some pieces of jewelry are on display.